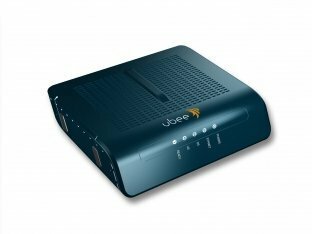 The Ubee DDM3521 cable modem is a step up from the DDM3513, having 8x4 bonded channels and still being CableLabs certified with one Ethernet port, supporting IPV6 and IPv4. However, check with your service provider, as this device isn’t always compatible with Comcast, as it’s normally only used as a rental unit. However, this is a very cost-effective solution for rental replacement.